Imagine living in the same home for nearly 40 years, raising your children, celebrating decades of wedding anniversaries and spending holidays with family in this sacred spot and then, one day, realizing that living in your own home as become a struggle. Perhaps arthritis has made cooking a painful chore, or failing eyesight has turned navigating the house into an obstacle course. 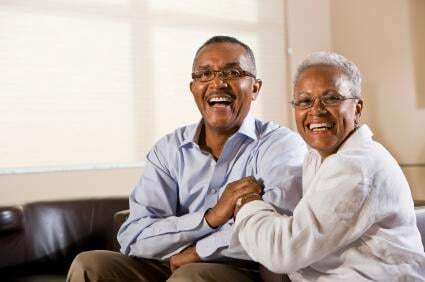 Now, you must make the choice between finding ways to age independently in your own home, or move to an assisted living facility or in with loved ones, to live out your golden years. For thousands of seniors, the thought of leaving their homes to age elsewhere is a painful notion. However, with an ever-increasing number of seniors expressing a desire to age in place, there are a growing number of options to help seniors age at home. Agencies across the United States offer non-medical in-home care for seniors that need help with everything from preparing meals to some extra companionship. Ideally, seniors and their families should shop for a reputable agency that utilizes homecare software or a homecare system to manage caregivers and client. Task reminders in homecare software can ensure that all of a senior’s needs are met, while clocking in via a homecare system makes sure that caregivers arrive for their shifts on time. When seniors don’t have the safety net of a caregiver armed with homecare software or a homecare system by their side, medical alert pendants can keep help nearby at all times. These pendants allow for a simple button to be pushed that automatically links seniors to a call center where the proper emergency help can be promptly dispatched. While technology like a homecare system or homecare software, like ClearCare, is an integral part of efficient in-home care, other technology for seniors can also help them stay at home. For instance, telephones with enlarged numbers, text read outs and flashing lights when ringing make communication easier, while controls on thermostats can help ensure that the home stays at a comfy and safe temperature whether it’s hot or cold. With a combination of a little assistance from caregivers, a reliable homecare software or homecare system, and home modifications, aging in place can be a reality for many seniors rather than a pipe dream.